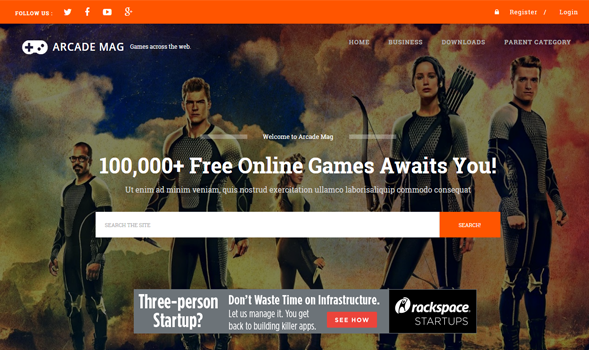 Arcade Mag is a responsive gaming blogger template that will offer each and every feature that you need to run a successful gaming blog, or magazine, or multimedia site. With our robust framework, you don't need to learn coding to edit this template because customization is made possible with just a few clicks. The template is Ads ready, which means you don't have to search for the best spot to place an ad. This template is perfect for online games site, pc games site, software site and etc.